An inside the waistband holster or IWB is a type of pistol holster which allows you to conceal your weapon easily. IWB holsters are easy to conceal, will enable you to keep your gun safe and secured, and can fit conveniently underneath your clothing. 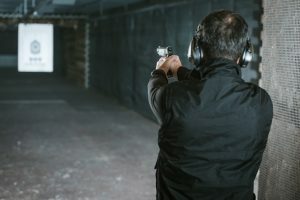 There are multiple IWB holsters out there, but one specific type is IWB holsters designed for the Glock 26 gun, and finding the best IWB holster for Glock 26 guns is critical. 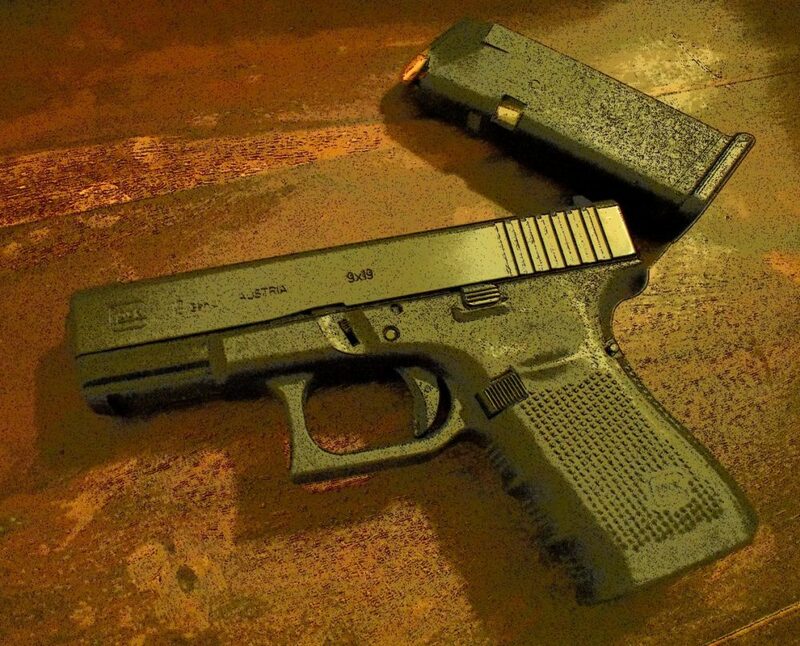 A Glock gun uses double action and can hold up to 10+1 rounds. 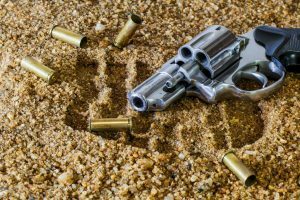 These guns often weigh less than four pounds and are an excellent pick when it comes to carrying them as a concealed weapon. Finding a holster for the gun can take some research, but if you’re looking for a new holster, we’ve got you covered. 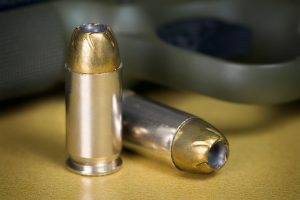 The SG-Revolution IWB is crafted from a proprietary ACX-57 polymer, which allows it to be worn straight out of the box. The soft suede backing provides you with added comfort that won’t make you feel itchy. It also has a unique pebbled surface which can help reduce the amount of drag by up to 50%. Integrated into the holster are laser cut ports which can help wick away moisture, allowing the holster together with your clothes to remain dry at all times. Since it has a flexible layer, it will bend easily and contour the curvature of your body. 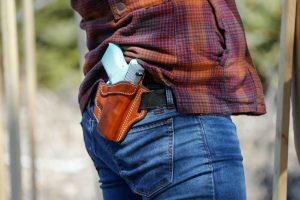 This makes it ideal for all-day use and works for all types of clothing; in fact, it's been designed so that you can wear it with outdoor gear, tight clothes, or slim apparel, which is rare when it comes to holsters. The lightweight design makes it easy to carry, and the low drag prevents the holster from feeling heavy. 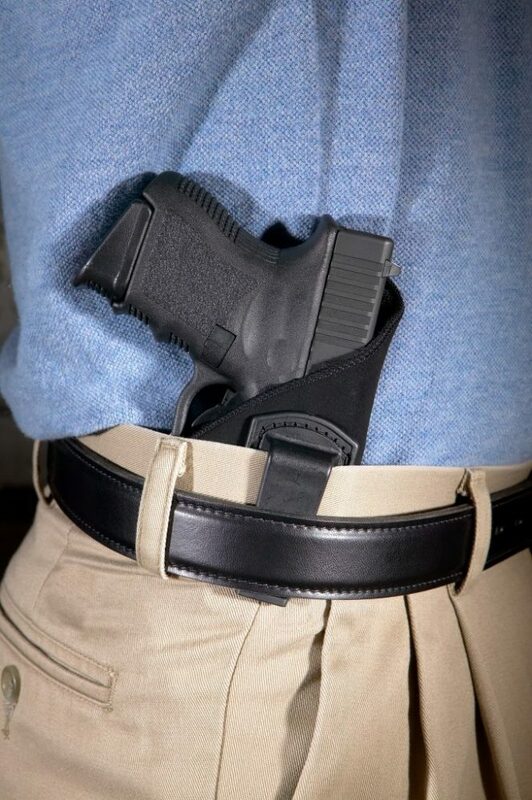 When you’re wearing this IWB holster, you’ll notice that it moves and flexes with your body, providing you with lasting comfort and prevents it from digging into your sides. This also allows you not to worry about it falling out or moving. The new Alien Gear IWB Holster is a hybrid product which has been upgraded to have a tool-less design, so it allows you to adjust the retention, as well as customize the height and ride. Other IWB holsters aren’t designed to be as adjustable, which means that this model excels with making you feel more comfortable. The holster base is crafted from a durable and sturdy polymer shell which creates a hard but sturdy casing for your Glock 26. It’s made out of a neoprene base, which allows your skin to breathe easily, preventing that sweaty or itchy feeling. Designed with a new clip, you can easily attach the holster without the use of screws or other types of hardware. 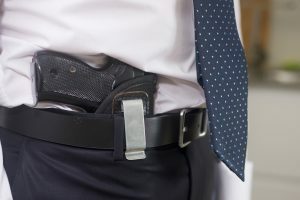 Also, the whole holster can be adjusted with the just using a twist, which also provides you with a smoother base, making far more comfortable to wear than your traditional styled IWB holsters. Lastly, the edge of the holster is crafted with durable thread that is carefully placed so that you won't be irritated at all. The CYA Supply Co. IWB Holster has been made from Boltaron thermoplastic which helps give it a tight fit with your gun. 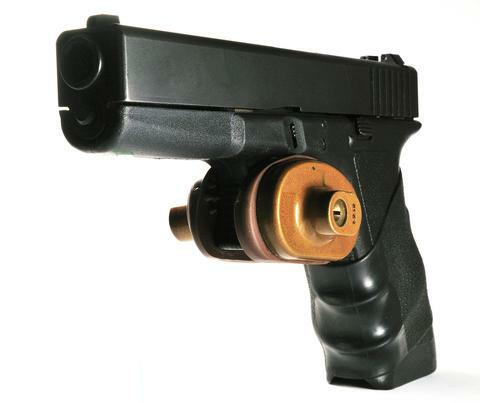 This allows the Glock 26 to be secured properly, and leave you enough room to draw it in case of an emergency. Boltaron is also a material which is known for being abrasion resistant and extremely durable, as well as can last through heavy wear. The holster is also impact resistant and has adjustable hardness. Likewise, it maintains its shape better than other holsters on the market. 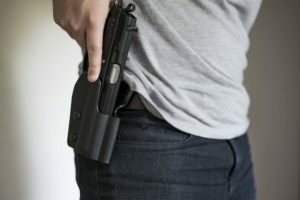 What is more exciting is that the cant of the holster can be adjusted from 0 to 15 degrees and vice versa, which is easily done by loosening a screw on the belt loop. The retention of the holster can also be adjusted by two screws which are located in the front of the trigger guard. Additionally, the holster is designed with a positive audible click, which is located between the trigger guard and groove. This lets you know when the gun has been entirely placed into the holster, allowing you to draw and secure it without looking. The only downside with this model is that it does take some practice to draw because of the secure click feature, so be sure to practice before you wear it in a situation where you need it. Almost all IWB holsters are designed to be used with a Glock 26, but finding one that has been specially designed for it since they can offer you better protection and adjustment. You will find that a majority of them are in a reasonable price range, especially newer models. Having a concealed weapon is common these days, and you’ll see that having an IWB holster makes it easier to draw when needed. The only aspect you’ll need to pay close attention to is the adjustability of the product, and each model we’ve reviewed offers you adjustments in retention, height, and carry angle. So, the next thing to do is choose one that fits your carrying style, as this can impact how comfortable it is to wear for long hours. If we had to choose one of the models to be the best out of the three, we’d have to recommend the CYA IWB Holster because it’s the most adjustable model, has a stainless-steel coating, and a special lock system that safely secures your weapon in place. Lastly, the sweat guard prevents moisture retention and allows you to feel comfortable when you wear it. 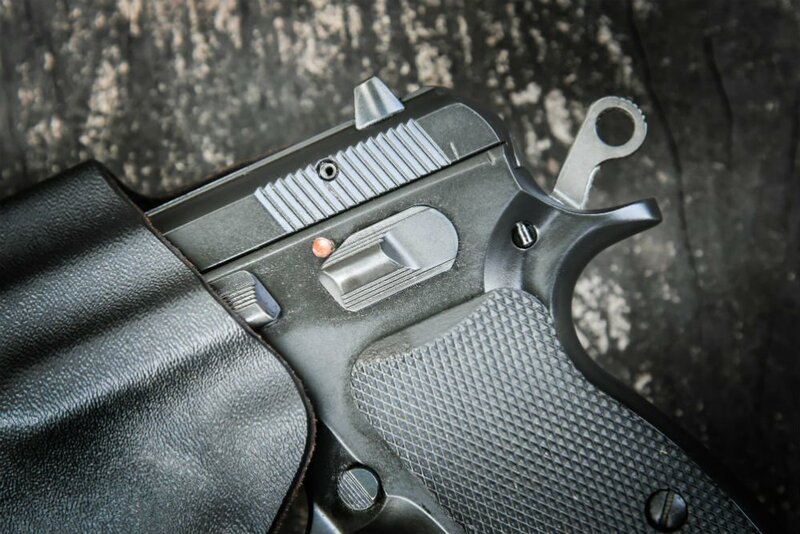 Nonetheless, no matter which model you choose, you can’t go wrong with these top picks for the best IWB holster for Glock 26 guns.